vii. Perform anyother duties as may be assigned.  Medical graduate who has obtained Master of Medicine or its equivalent from a recognized institution.  Doctor of Medicine Degree from any recognized University or institution that successful completed one year Internship programme, registered with the Medical Council of Tanganyika and must be computer literate. viii. Perform any other duties as may be assigned by the supervisor.  Diploma in Pharmacy from any recognized University or Institution and must be registered by the National Pharmacy Board of Tanzania. vii. Teach others viii. Performs any other duties as may be assigned by the supervisor. ix. Teach others x. Perform any other duties as assigned.  Holder of a three years Diploma in Health Laboratory Sciences or its equivalent from a recognized institution. vi. Perform any other duties assigned by superior from time to time.  Diploma in Occupational Therapy from a recognized University or Institution. Computer literacy is an added advantage. vii. Maintain health and safety at work by ensuring that infection prevention and control principles are followed; viii. Perform any other duties as may be assigned by the supervisor. 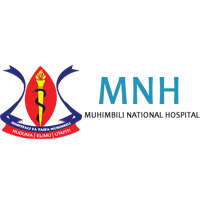  Bachelor of Science in Nursing from a recognized university or institution plus successful completion of Internship, registered with Tanzania Nurses and Midwives Council with a valid license to practice and must be computer literate. vii. Perform any other duties as may be assigned by the supervisor.  Form IV/VI certificate with passes in English and Kiswahili subjects with One year certificate in either Nursing attendant/ Red Cross or any health attendant course. xv. Perform any other duties as may be assigned by the supervisor.  Holder of two years Diploma (NTA Level 6) in Health Records and Information Management from the Registered Health Records and Information Institutions and must be Computer literate.  Certificate in Health Records (NTA5) with Form IV passes in English and Mathematics subjects and must be computer literate.  Diploma in Nursing from a recognized University or Institution must be registered by a Tanzania Nurses and Midwives Council with a valid license to practice and computer literate. Work experience in Cardiac/Surgery/ICU/CCU or Theatre will be an added advantage.  Bachelor Degree in Pharmacy with completion of a one year internship programme and registered by the Pharmacy Council. Computer literacy is essential. Possession of a Masters in Clinical Chemistry will be an added advantage.